We were first introduced to Designafriend when Andy’s parents didn’t stick to the birthday list and brought one for Alice. Normally this would mean disaster, but when I saw the Designafriend they had brought Alice, I was impressed. Plus Alice loved it. 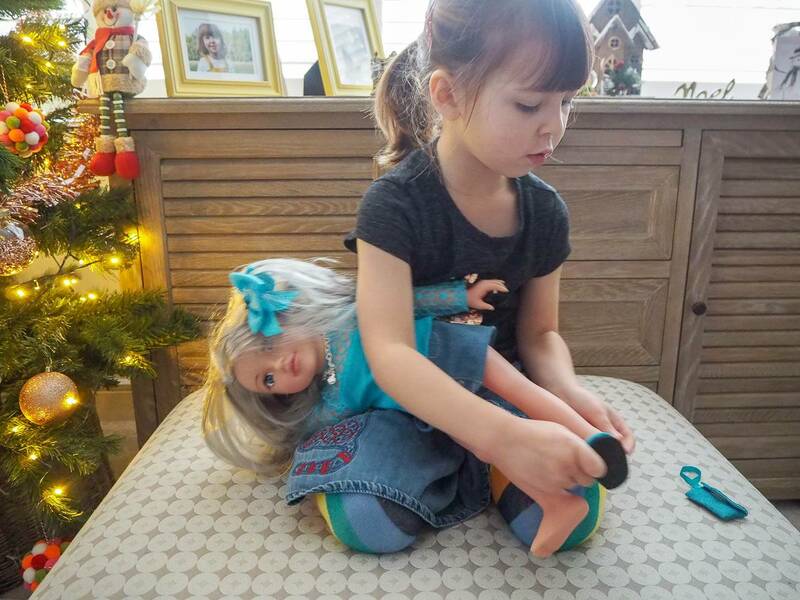 If you haven’t heard of Designafriend before, they are a collection of beautiful dolls you can dress, style and be best friends with. Created by a British toy company, the Designafriend collection is the perfect companion for anyone. 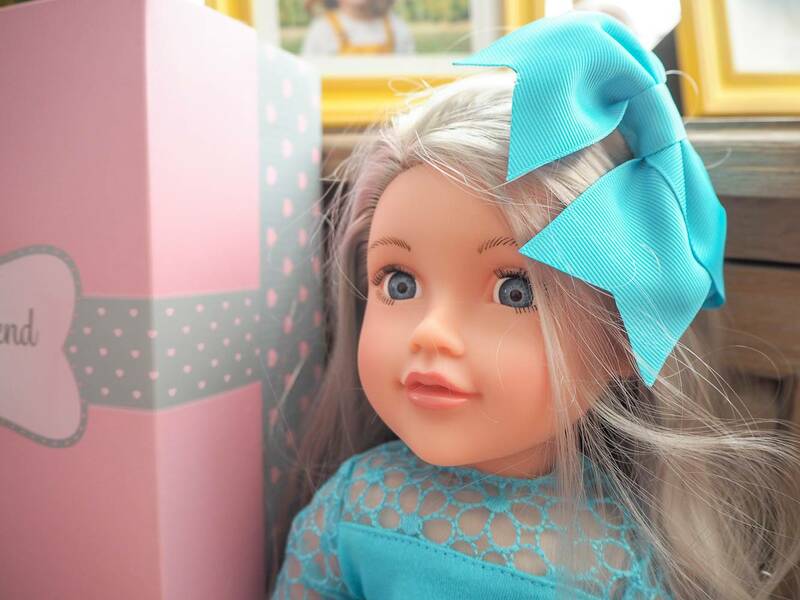 Each doll has super-soft life-like hair, gorgeous faces and crystal-clear eyes. Their clothes and shoes are made with exquisite detail and there is an outfit to suit every occasion in Designafriend’s busy social calendar. They arrive in a gorgeous box, wrapped in tissue paper and are all ready to meet their new friend. We were kindly sent a Designafriend from their new collection and she is called Holly. Well, you can just imagine how happy Holly was, to have a doll with the same name as her. Each doll, not only comes with a name, but a little bit about them too. Holly loves her family, friends and she loves blogging. How cool is it, that blogging is now becoming seen as normal. Holly was very excited that Holly does what mummy does! Holly loves to keep a memory of all the fun days out with her friends. 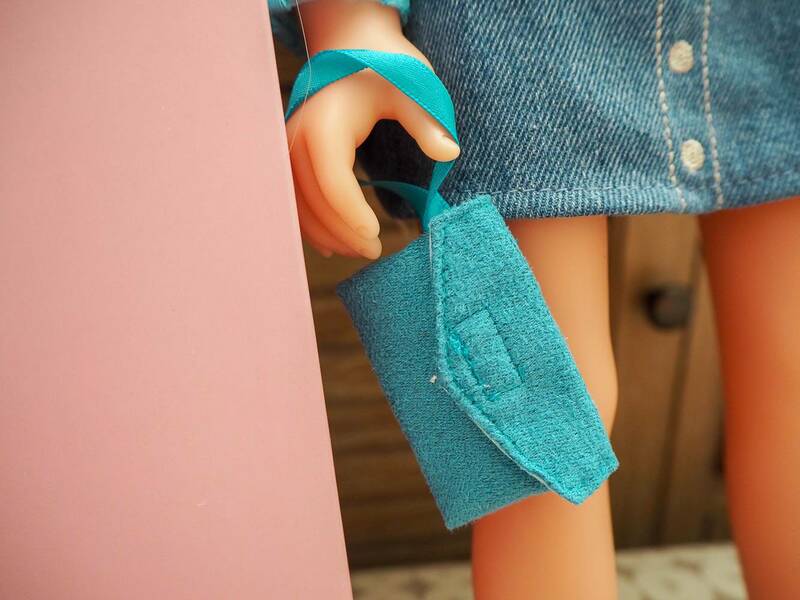 Holly comes with a bag that loops onto her wrist and shoes too. You also get a charm bracelet for you to wear, but Holly thought that Holly the doll (this is confusing!) might like it as a necklace. You can buy new outfits for your designafriend doll and each one comes with a charm, for you to add to your bracelet. Designafriend is sold exclusively in Argos, where you will find the complete range. Which includes furniture too. Holly hasn’t stopped playing with her new friend Holly, since she arrived. She is a firm favourite. Disclosure: We were kindly sent our Designafriend in return for an honest review. All views, opinions and photos are my own. 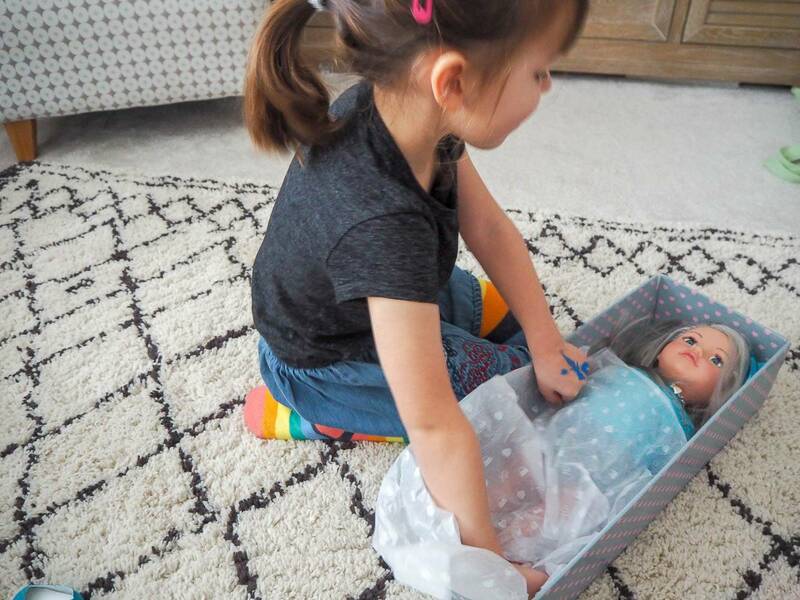 Well that doll has certainly proved popular with your daughter! The quality of it does look extremely good! Ah Eva has this doll too! We are big DesignAFriend fans in our house, they are such gorgeous dolls and the outfits are amazing too! Oh wow what a cute doll. She’s very pretty and has a great little outfit. I am sure many little girls would love one for Christmas. My daughter has some of these dolls, I love they come with a charm bracelet. A blog-loving doll! Why not!! I love the way she is packaged, it makes her look really special to receive as a gift. The quality does look superior to some other dolls I’ve seen.